President Donald Trump's defense secretary has voiced the new administration’s commitment to strengthen ties between Washington and Seoul during his first foreign trip, saying N. Korea's "provocative behavior" requires joint efforts to deter its alleged threat. 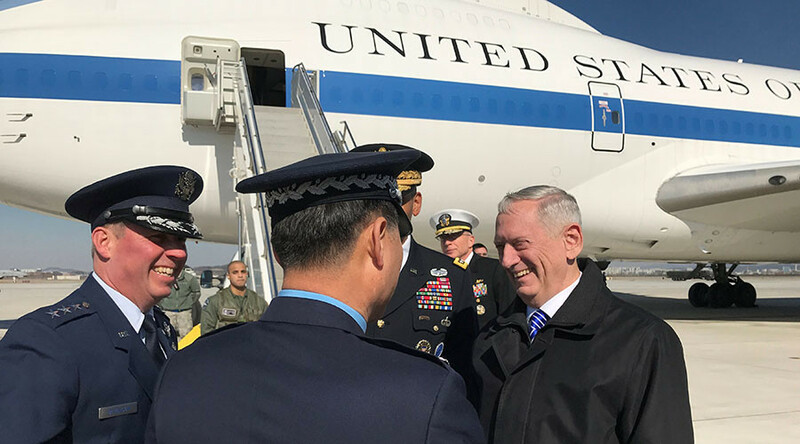 On his debut trip as defense secretary, which is also the first foreign visit by any of Donald Trump's cabinet secretaries, retired Marine General James Mattis arrived in Seoul amid concerns that Pyongyang is allegedly getting ready to test a new ballistic missile. "I talked to President Trump and he wanted to make a very clear statement about the priority that we place on this alliance between our two nations,” said the Pentagon chief, who held an introductory meeting with Prime Minister Hwang Kyo-ahn on Thursday, as quoted by AP. The new administration "inherits a very strong, trusted relationship between our two countries and it's our commitment to make it even stronger especially in the face of the provocations that you face from North Korea," he added. The new defense chief said that were it not for Pyongyang's "provocative behavior," there would have been no need for the Terminal High Altitude Area Defense (THAAD) system in South Korea. THAAD’s been touted as a means of thwarting North Korea's ballistic missile threats against South Korea and Japan, but China and Russia say they’re extremely concerned about their security being compromised by the anti-missile system’s powerful radar. The US and South Korean defense chiefs have confirmed their commitment to deploy THAAD as planned during the talks at South Korea's defense ministry. 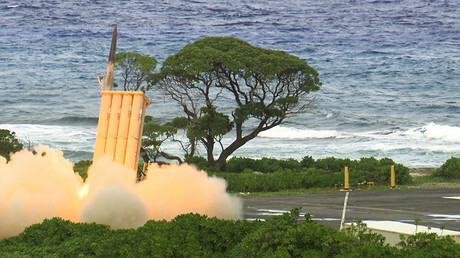 "The two agreed to deploy and operate Terminal High Altitude Area Defense (THAAD) system within this year as planned, which is a defense system solely against North Korea's missile threat," Reuters quoted a statement by the South Korean defense ministry. Apart from bolstering South Korea’s defensive weaponry, Mattis warned North Korea that possible use of nuclear weapons would result in retaliation and an “overwhelming response” from the US. "Any attack on the United States, or our allies, will be defeated, and any use of nuclear weapons would be met with a response that would be effective and overwhelming," Mattis said. Washington stands "shoulder-to-shoulder" with Seoul to face the threat from North Korea, he added, saying he was delivering a message from the new US leader. After a series of meetings in Seoul, the US defense secretary is scheduled to head to Tokyo. Nearly 80,000 American troops are hosted by South Korea and Japan, according to Reuters. Before his election as president, Trump threatened to withdraw US forces from the two countries if they failed to increase their financial support for America's military presence. "I would not do so happily, but I would be willing to do it," he said in an interview with The New York Times last March. Meanwhile, Moscow and Beijing have urged all those involved in THAAD’s deployment to consider the escalation in tensions it would lead to, and called for restraint. Russia and China have also reaffirmed their commitment to a nuclear-free North Korea, but believe diplomacy should be the way forward. Russia and China will be taking further "unspecified" countermeasures to the US plan to deploy its anti-missile system in South Korea, Chinese media reported in January. First announced in July last year, the original plan promised the system to Seoul by the end of 2016. The decision led to strong opposition not only from from Russia and China, but also from American activists. A petition urging Washington to reconsider its plans has garnered 100,000 signatures, but was dismissed by the Obama administration.